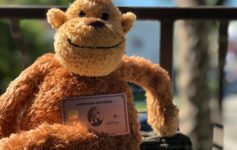 We called it the most compelling card of 2018, and seemingly the rest of the internet is in agreement: the Amex Gold card is a home run. Not only does this card comes with bennies galore including 4x points at US restaurants + grocery stores( read this post for a full review), but there is one specific benefit that we thought we’d dig into a bit more. The annual $100 Airline Incidental Fee credit. If you recently picked up the card, or you’ve had it for quite some time, you should know how to utilize and maximize this perk. What is an incidental fee? Benefit is available to American Express Gold Card Members only. To receive statement credits of up to $100 per calendar year toward incidental air travel fees, Card Member must select one qualifying airline at http://www.americanexpress.com/selectafc. 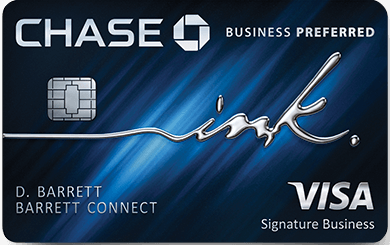 Only the Basic Card Member or Authorized Account Manager(s) on the Card Account can select the qualifying airline. Card Members who have not chosen a qualifying airline will be able to do so at any time. Card Members who have already selected a qualifying airline will be able to change their choice one time each year in January at http://www.americanexpress.com/selectafc or by calling the number on the back of the Card. Card Members who do not change their airline selection will remain with their current airline. Statement Credits: Incidental air travel fees must be charged to the Card Member on the eligible Card Account for the benefit to apply. Incidental air travel fees charged by both the Basic and Additional Card Members on the eligible Card Account are eligible for statement credits. However, each Card Account is eligible for up to a total of $100 per calendar year in statement credits across all Cards on the Account. Incidental air travel fees must be separate charges from airline ticket charges. Fees not charged by the Card Member’s airline of choice (e.g. wireless internet and fees incurred with airline alliance partners) do not qualify for statement credits. Incidental air travel fees charged prior to selection of a qualifying airline are not eligible for statement credits. Airline tickets, upgrades, mileage points purchases, mileage points transfer fees, gift cards, duty free purchases, and award tickets are not deemed to be incidental fees. The airline must submit the charge under the appropriate merchant code, industry code, or required service or product identifier for the charge to be recognized as an incidental air travel fee. Please allow 2-4 weeks after the qualifying incidental air travel fee is charged to your Card Account for statement credit(s) to be posted to the Account. We rely on airlines to submit the correct information on airline transactions, so please call the number on the back of the Card if statement credits have not posted after 4 weeks from the date of purchase. Card Members remain responsible for timely payment of all charges. To be eligible for this benefit, Card Account(s) must be not canceled and not past due at the time of statement credit fulfillment. For additional information about this benefit, call the number on the back of your Card. You need to select an airline each year, and that fee credit will be exclusively reimbursed on purchases with that airline. In reality, what purchases are deemed incidental? How often do you get the credit? You get a fresh $100 starting January 1st, each year you have the card. Hope this helps you take advantage of a great perk! Next Article Yikes – Hyatt rumored to suddenly slash value of Cash + Points November 1st. I used to get credit for booking $50 one way flights on Alaska, cancel after 24 hours and get the credit as certificate and use it later. But Alaska got rid of the free cancellation policy. I haven’t tried it but I heard that if you tried to cancel it within 24 hours, money only goes back to the credit card. is that still true? As Seattle based, this was my primary way to burn amex fee credits but it seems my next choice would be $50 Delta eGift. but I don’t like that there is limit on how many egfit you can redeem per booking where as Alaska, you can combine unlimited number of certificates into your wallet. Traditionally I use it for American Airlines. Can you confirm if it can be used for a Southwest Gift Card? And is there a limit on the size of gift card purchase? yes! i’ll add that to the list – they’re are still crediting as well. It’s like you read my mind. I was just contemplating how to utilize this! Rob – happy to help! Does it really typically take “2-4 weeks after the qualifying incidental air travel fee is charged to your Card Account for statement credit(s)” In your Alaska example, it looks like it was reimbursed immediately? Sean – my experience is that the credit populates within a few days, but could take longer. a different benefit ( 5x on airfare with amex personal plat ) took a couple weeks post paying the bill to finally credit.